Indian startup success stories have been primarily centered around software and apps, but a homegrown hardware startup has just made it to the big league. Hero MotoCorp has said that it will invest Rs. 205 crore in Ather Energy, a Bangalore-based startup that makes electric bikes. This is perhaps the first instance of an established institutional brand backing a homegrown hardware startup. The deal values Ather Energy at Rs. 800 crore. 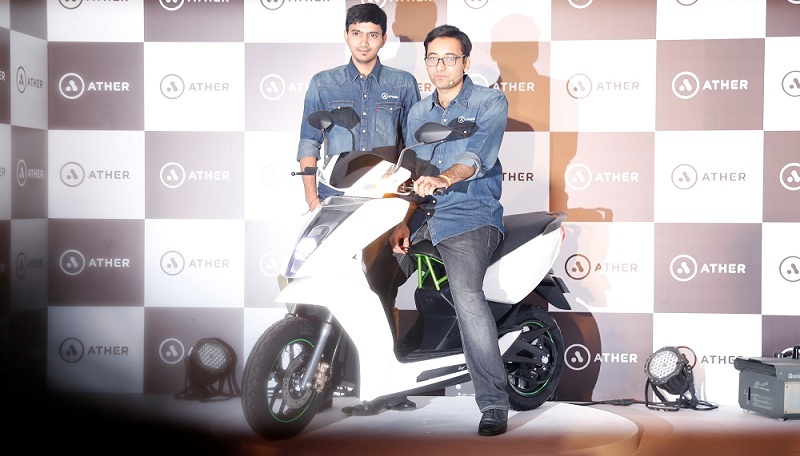 Ather Energy was founded in 2013 by IIT Madras alumni Tarun Mehta and Swapnil Jain. The company has been working on making India’s first electric scooter, and has attracted investments from Tiger Global and Flipkart founders Sachin Bansal and Binny Bansal. Ather had unveiled its first product, an electric scooter called S340, in February this year. The scooter has a top speed of 72 kmph with a range of 60km. Up to 80% of the scooter’s battery can be charged in under an hour. It is yet to go to production. “As the market leader and a global automotive major, Hero MotoCorp takes the lead in many areas that benefit the environment, customer and the industry. Adoption of environment-friendly fuel is a priority for Hero MotoCorp, as is propagating sustainable manufacturing through green facilities,” Hero MotoCorp said in a BSE filing. The company, which is India’s biggest manufacturer of two-wheelers, will pick up a 26-30% stake in Ather. Electric vehicles are yet to take off in India, but this event could be a watershed moment for Indian hardware startups. The Indian startup story thus far has meant software – all Indian unicorns are software startups. But a vote of confidence from an institutional investor for a project that’s as ambitious as building an electric vehicle could herald a change in mentality, both for the investor community and budding entrepreneurs. As Ather Energy shows, there’s a whole world out there beyond apps.